Thank you for shopping at Go Direct Online Store. 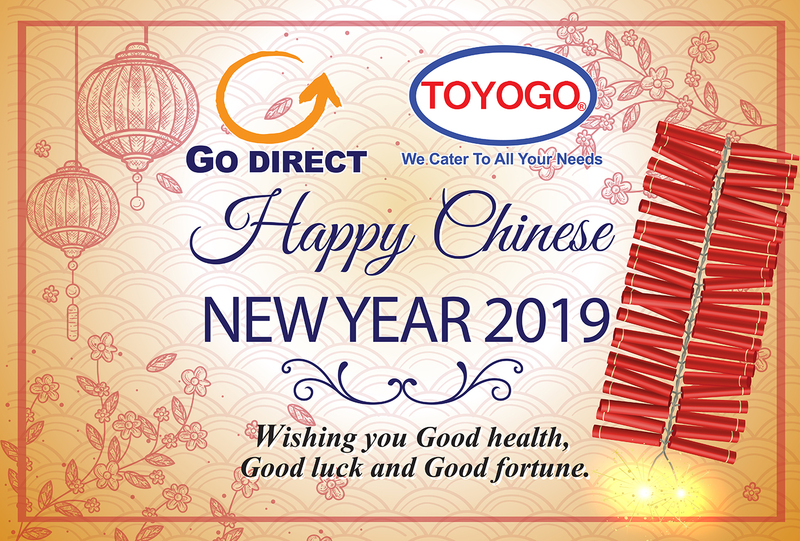 In conjunction with the Chinese New Year holidays, our company will be closed from 3rd February 2019 (Sunday) till 10th February 2019 (Sunday). Our online store will continue to operate during the holiday period so that you can shop for quality products anywhere, anytime. We will be back on 11th February 2019 (Monday). All orders placed during the holiday period will be processed on the next business day. We wish everyone a happy Chinese New Year, Going Xi Fa Chai!